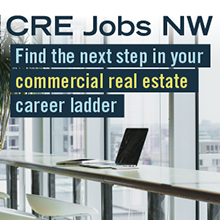 Commercial real estate (CRE) development in Washington state—including the member businesses of NAIOP Washington State chapter—supported more than 56,000 jobs and contributed $8.8 billion to the U.S. GDP in 2017. That's why NAIOPWA is committed to supporting a positive environment for CRE in Washington state. 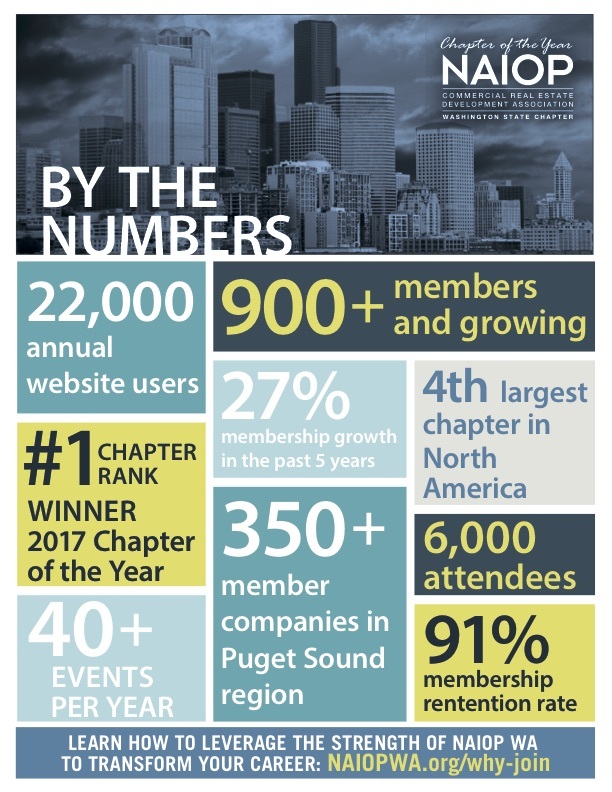 In 2017, NAIOPWA grew to more than 965 members strong, making us the fourth-largest chapter in North America. 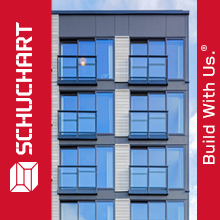 We are a group of influential and interested individuals focused on seeking the best strategies and resources to advance our commercial real estate businesses. 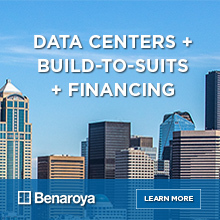 Founded in 1976, our diverse network includes developers, contractors, architects, engineers, designers, brokers and property managers, and is a Who’s Who of the Puget Sound commercial real estate community. In 2018, NAIOPWA was recognized with three chapter merit awards for government affairs leadership, member growth and executive leadership, and in 2017 was named Chapter of the Year. 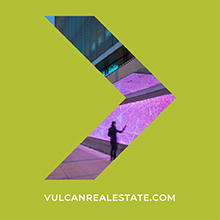 In support of our membership, member and sponsor companies, and the overall local commercial real estate community, we undertook significant government affairs, communications, education and membership efforts over the course of the year. These included a new app, new-member support, and more than 40 educational and networking events. The mission of NAIOP Washington State is to create a favorable climate for the conduct of commercial real estate through the participation of a professionally diverse membership and to be recognized as the foremost commercial real estate association in Washington.